Mother's Day is one of the most celebrated day in the month of May every year. This May, Cubecrate has launched a Mother's Day Theme Box and I was happy to receive one of the mysterious monthly subscription box. 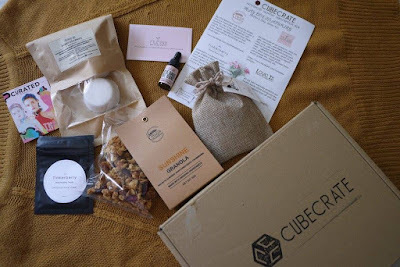 What's inside Cubecrate May 2017 – Mother's Day Theme Box? 50g of Sunshine granola from Alys The Bakerland. 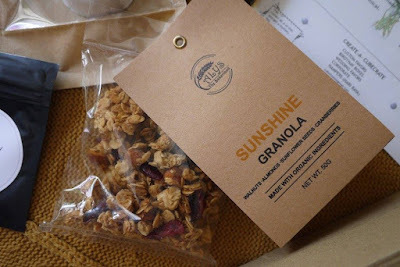 The brand was found by Alyson, a food lover that aim to create a healthier way of having breakfast and snacks. Alys The Bakerland uses organic ingredients and are free from preservatives, flavourings and refined sugars. A sample of "Eye Bags Be Gone" eye serum from Nuhaa Botanicals. 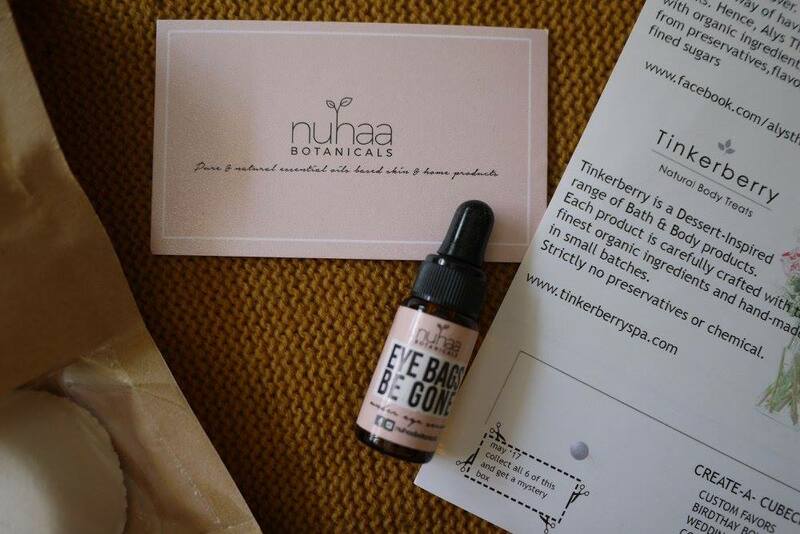 Nuhaa Botanicals's products are safe, non-toxic, and effective as they only use pure, safe ingredients including natural ingredients, plant-based food=grade cold-pressed oils, steam distilled therapeutic-grade essential oils. For instance, Eye Bags Be Gone" eye serum contains carrot seed oil, rich in antioxidant that fight damaging free radicals that can cause wrinkles and damage to skin tissue; neroli oil, which is also one of the best oil to combat wrinkles; and also drops of vitamin E oil. 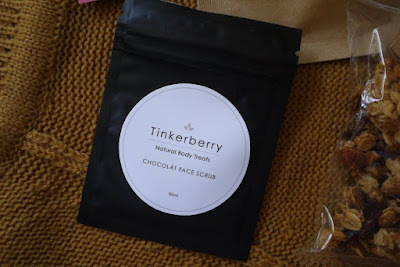 10ml of Chocolat Face Scrub by Tinkerberry, a Dessert-inspired range of bath and body products with a manifestation of their passion to create only the purest, safest and natural apothecary products. Strictly No Preservatives, No Alcohol, No SLS, No Paraben and No Synthetic Ingredients. 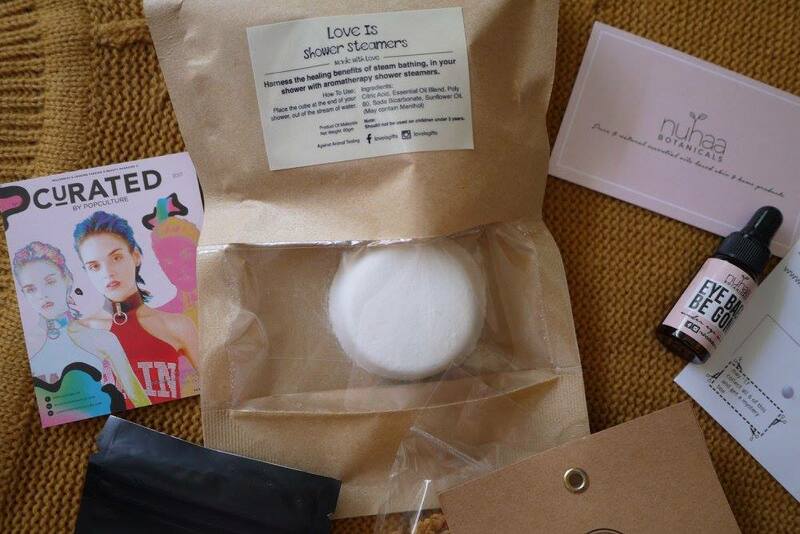 Shower steamer from Love is. Love is offers bath and body products that are locally handcrafted fusing only the finest ingredients from all over the world. 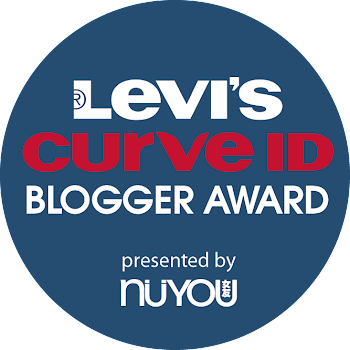 Never heard about their products but seems quite interesting. Thanks for sharing dear! Wow this is a cute curated box! Do they ship outside your country?